Good news! For the 2018-19 school year, Hazing Prevention: It’s Everyone’s Responsibility™ is available to all NYSPHSAA high schools at no charge. 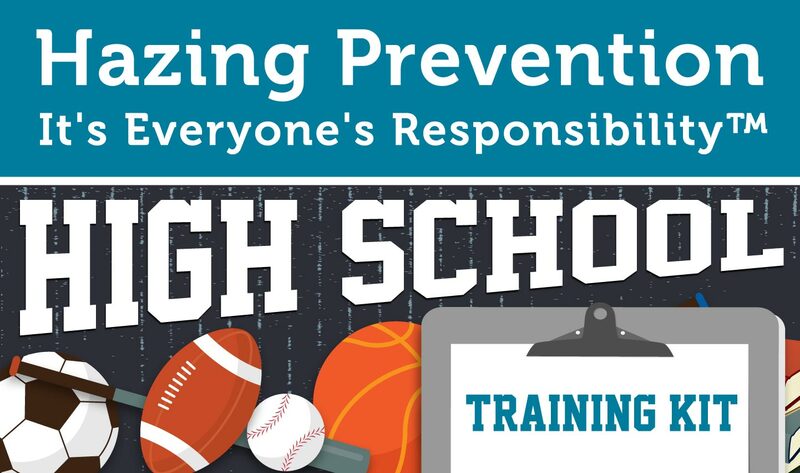 Hazing Prevention: It’s Everyone’s Responsibility™, High School Training Kit includes a Facilitator’s Guide, multimedia presentation and certificate of completion. This educational offering is designed as a guided/facilitated course for high school teams or groups. The 30-minute presentation uses examples specific to athletes and student groups to help prevent hazing activity in high school. Resources also include discussion topics and optional assessments. This program was developed by Prevent.Zone in partnership with Hazing Prevention.org and New York State Public High School Athletic Association. Copyright © 2017 AliveTek, Inc. All rights reserved.